Even there's so many accusation and false criticisms against President Rodrigo Duterte's war on drugs, he still has the "excellent" category of trust rating in the latest Social Weather Stations (SWS) survey. The survey was first published in BusinessWorld on Tuesday, and it showed a +76 public trust rating, down by three points from the last SWS survey conducted last June 24 to 27, before he took his oath as President. According to SWS latest survey, they gathered 1,200 adult respondents from around the Philippines and it was conducted from September 24 to 27. 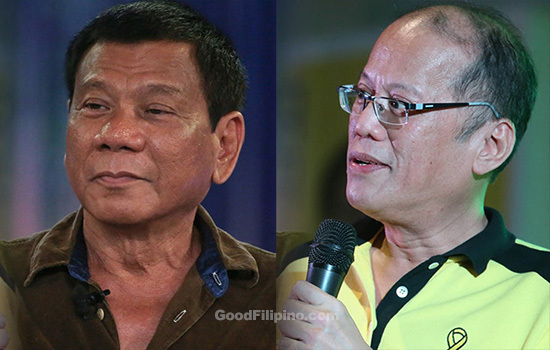 The survey showed that 83 percent of those surveyed have "much trust" on Duterte, 9 percent were undecided and only 8 percent has "little trust" on the President. The Social Weather Stations classifies at least +70 net trust rating as "excellent." +50 to +69 are classified as "very "good"
-50 to -69, "very bad"
-70 and below as "execrable." SWS admitted that the survey has error margins of ±3 points for national percentages, and ±6% each for Metro Manila, Luzon areas outside the nation's capital, the Visayas and Mindanao. And the most important part of this news, SWS admitted also that President Rodrigo Duterte was better than his predecessor, Benigno Aquino III. As they compared it to PNoy, he got a "very good" +67 trust (77% much trust, 10% little trust) rating in a survey conducted from September 4 to 7 in 2010. Meanwhile, Duterte's trust rating in Mindanao increased by two points to +92. Comments or suggestions about "President Duterte keeps 'Excellent' trust rating and better than his predecessor" is important to us, you may share it by using the comment box below.